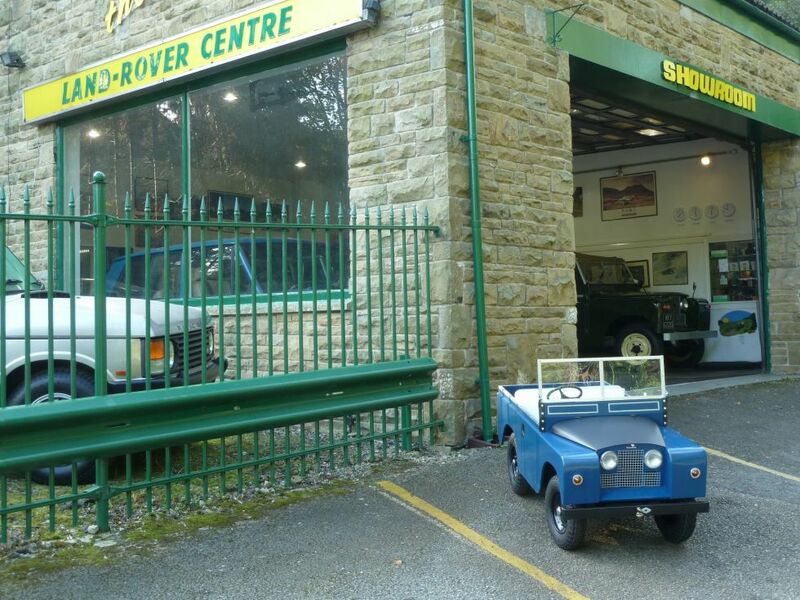 Here we have a beautiful scale model Series II Land Rover. 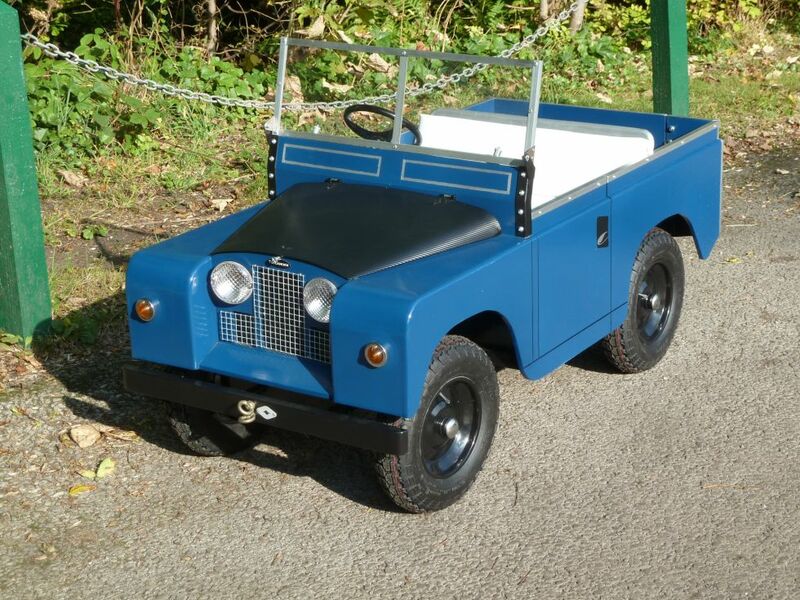 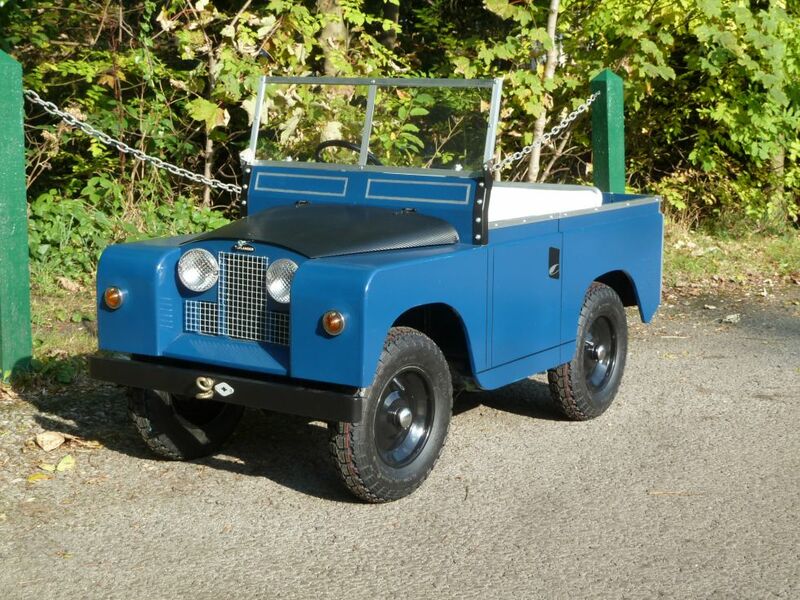 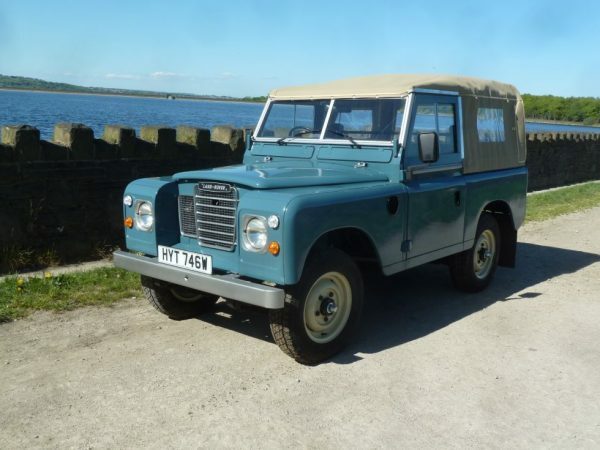 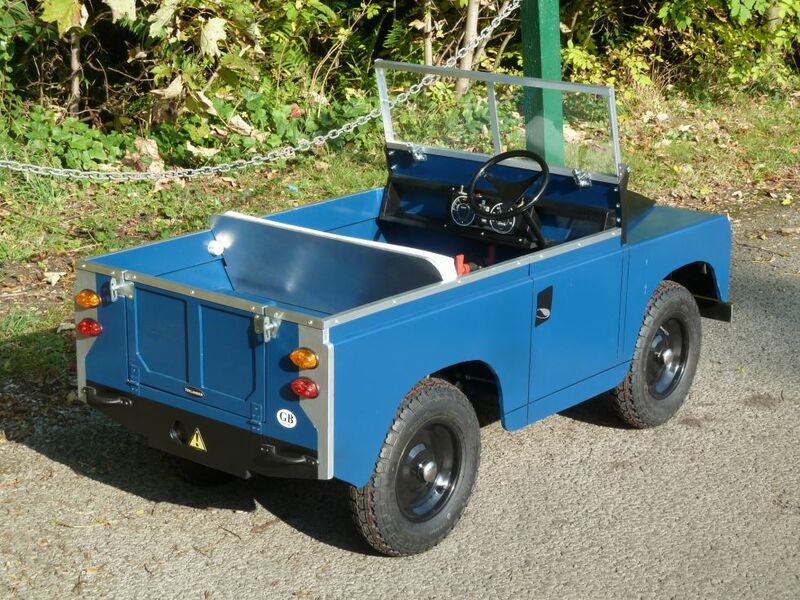 This Land Rover has been built to a very high standard, and is finished in Blue with White seat. 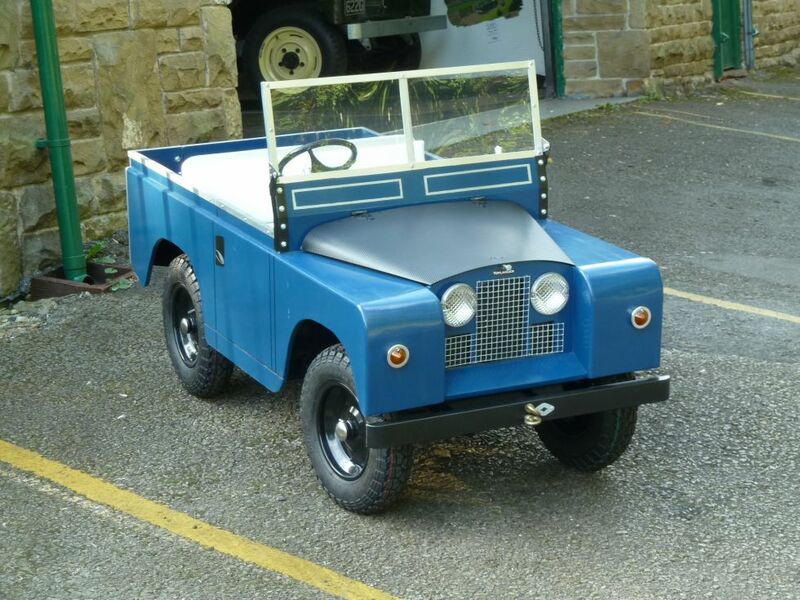 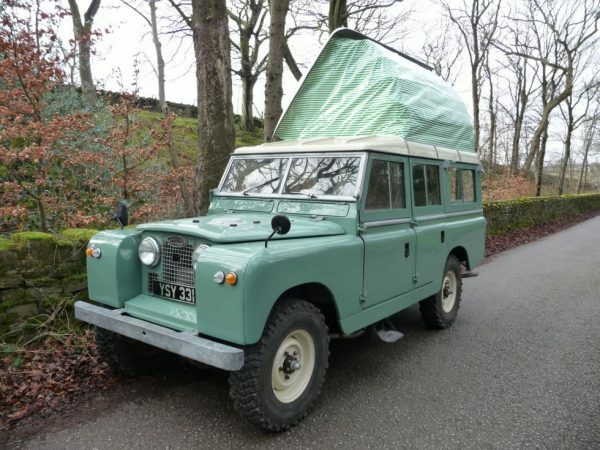 Can be driven by young Land Rover enthusiasts from approx 4 years of age, and the main seat folds down to accommodate an adult. 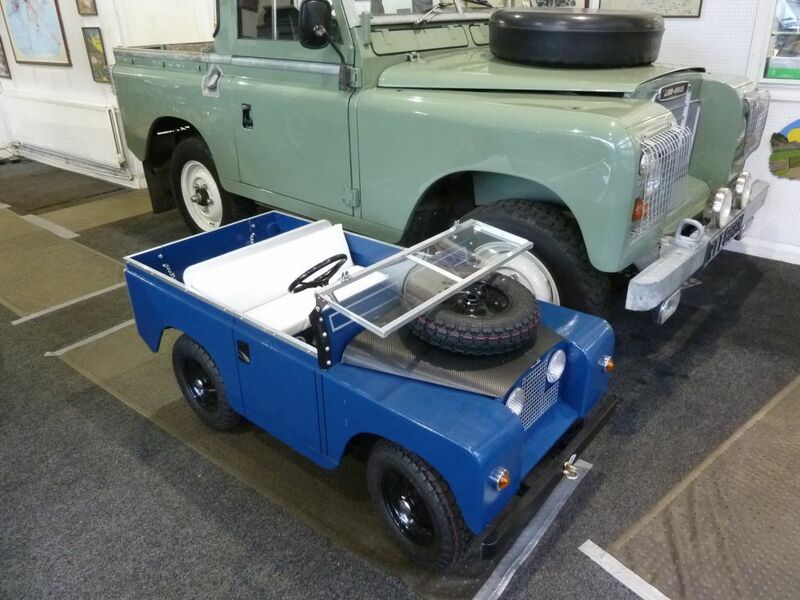 Travels at walking pace (approx 4 mph) and powered by 12v battery. 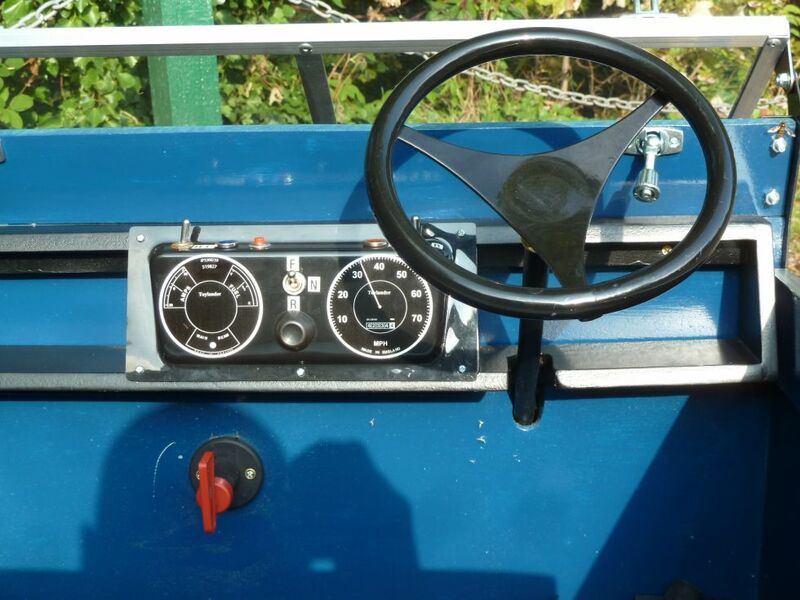 Working headlights, sidelights, indicators and horn. 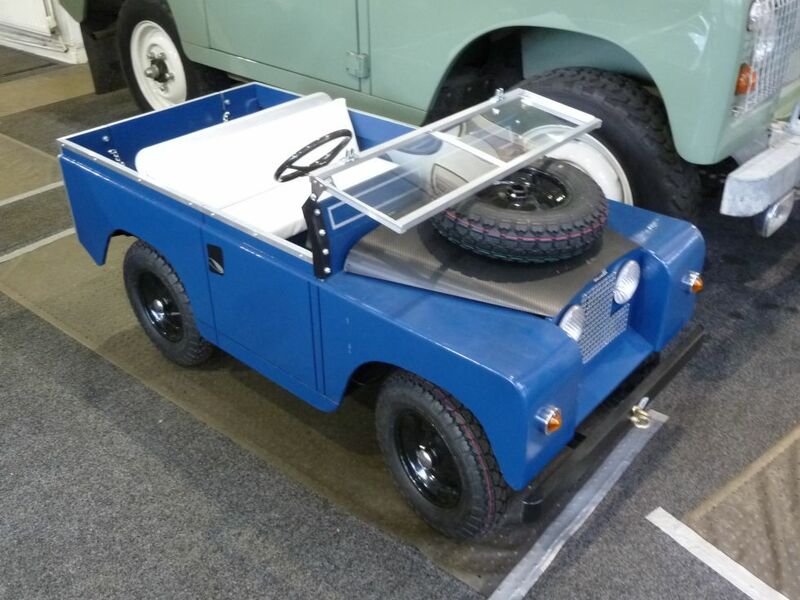 Also includes bonnet mounted spare wheel – Just like the real thing ! 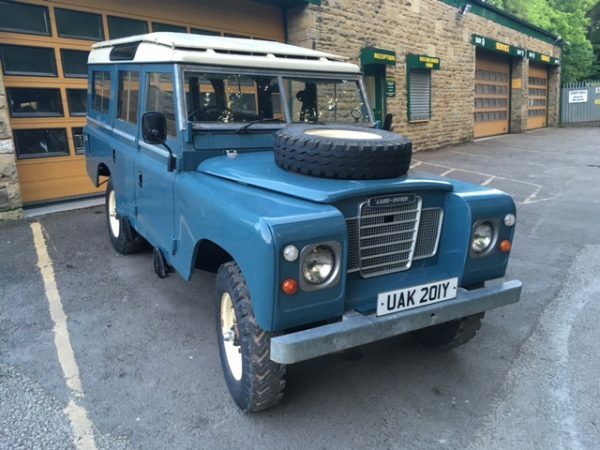 One of the nicest that we have had the pleasure of owning.